With its smooth, graceful curves, the Stainless Wide Loop Cap is both elegant and functional, with a loop that makes it easy to clip your Klean Kanteen wide mouth bottle onto a belt, harness, pack or anywhere else you need easy access to your drink. 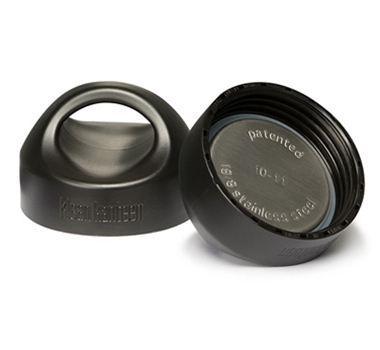 The cap fits the universal, external thread design on the wide-mouth bottles. The outside is BPA-free polypropylene (pp#5), and the inside is 18/8 food-grade stainless steel, creating a 100% stainless interior inside the bottle.